Five Titans Of Texas Tenor Sax : A Blog Supreme These saxophonists have a robust, sometimes raw sound that mixes swing, bebop, blues and soul. When jazz fans talk about the Texas Tenor saxophone sound, they're talking about a sound which is very robust, sometimes raw, and which mixes the musical vocabularies of swing, bebop, blues and R&B. It's that honking, bar-walking saxophone sound that used to blast from jukeboxes coast-to-coast. Here are five examples of that sound from saxophonists who hail (and wail) from Texas. First of all, don't let the name "Illinois" fool you. 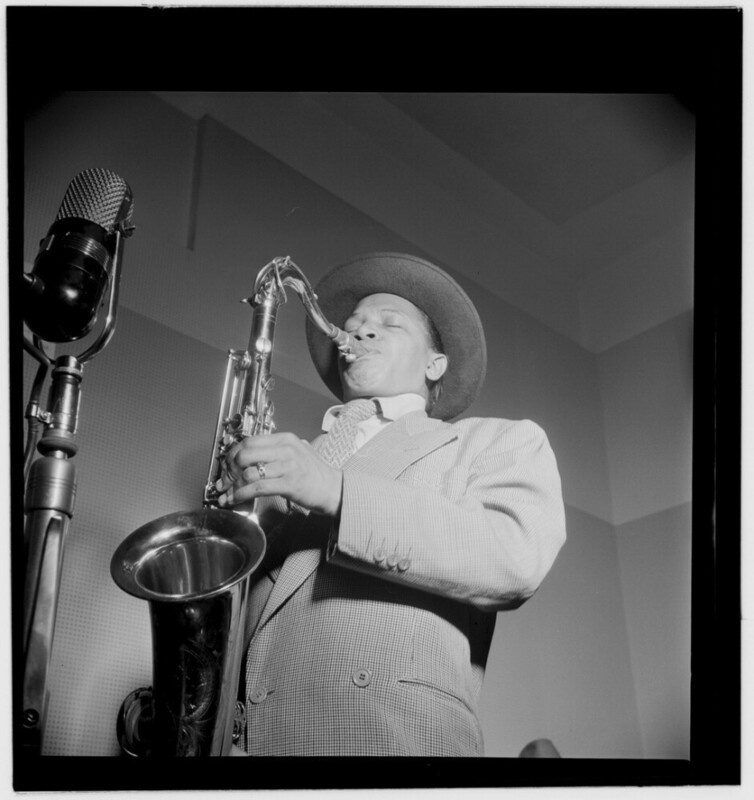 Illinois Jacquet was born in Louisiana, but grew up in Houston, Texas. He basically became immortal in 1942 at the age of 19 when he recorded his famous sax solo in Lionel Hampton's original recording of "Flying Home." The song you'll hear now, "Bottoms Up," was also one of Jacquet's signature songs, and was described by one writer as "'Flying Home,' backwards." However you want to describe it, it's a classic example of Texas Tenor at its best. 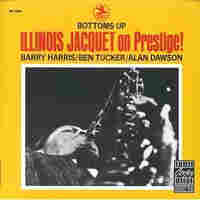 Houston's Arnett Cobb came up hard on the heels of Illinois Jacquet. He replaced Jacquet in Lionel Hampton's band, and really started making a name for himself as a bandleader in the late 1940s. Poor health and bad luck made it difficult for Cobb to tour and record throughout the 1950s and '60s, but it doesn't seem that his saxophone playing suffered. 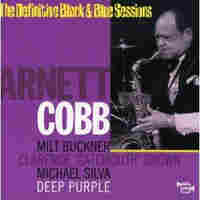 "Cobb's Blues" was recorded in the early '70s with Milt Buckner (organ), Michael Silva (drums) and fellow Texan Clarence "Gatemouth" Brown (guitar). Cobb's solos are textbook examples of how to play Texas Tenor blues: cool and smooth at the beginning, but sassy and feisty at the end. 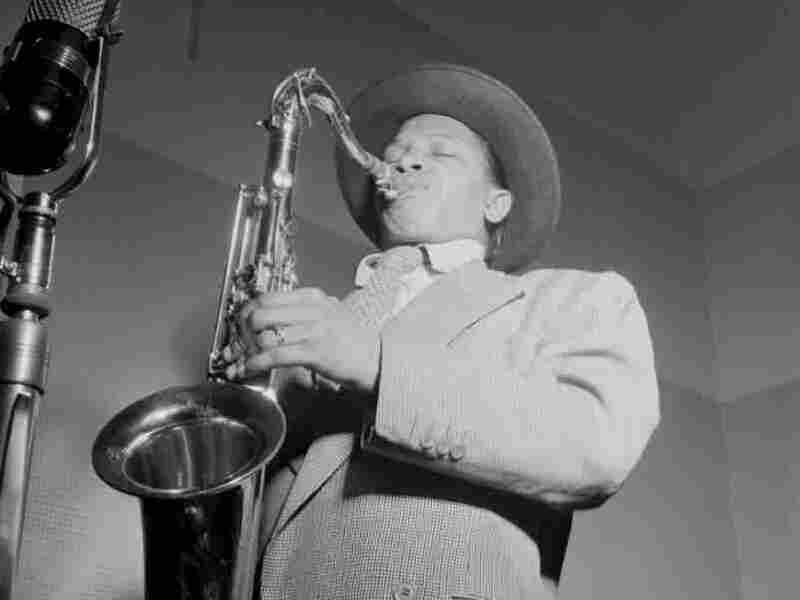 In the previous two songs, Illinois Jacquet and Arnett Cobb have laid out the basic language of the Texas Tenor. We'll now see what happens when Southwest America meets South Africa. Buddy Tate was born in Sherman, Texas, and added his Texas Tenor sound to Count Basie's band for nearly 10 years. 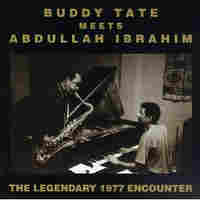 In 1977, Tate teamed up with South African pianist and composer Abdullah Ibrahim for one recording session, which also featured drummer Roy Brooks and bassist Cecil McBee. Ibrahim starts this song with one of his Capetown-feeling riffs, and Tate plays along for a while, but when the rhythm switches to straight-ahead swing, Abdullah drops out and Tate takes over. After a solo from McBee, Abdullah comes back in with his solo and brings the song back around to its Capetown origins, with Tate again along for the ride out. It's a compelling experiment that features fine playing from everyone. 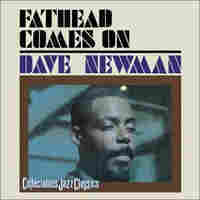 David "Fathead" Newman was raised in Dallas, where he was mentored by alto saxophonist Buster Smith, who was one of the fathers of Texas saxophone and also a great influence on Charlie Parker. Newman eventually left Smith for a 12-year stint with Ray Charles, who encouraged Newman to make his own records while still working in Charles' band. In fact, for "Cellar Groove," recorded in 1962, Newman recruited some of his colleagues from the Ray Charles Band to perform with him, most notably (in this song) trumpeter Marcus Belgrave. Fort Worth, Texas, gave us King Curtis, the man who introduced the Texas Tenor sound to the world of pop music in the 1950s and '60s. As a teenager, he worked with Lionel Hampton's band (Hampton had great luck with Texas Tenor players), but soon became a studio musician, appearing on a number of rock and R&B records by Buddy Holly, The Coasters and many others. He really found the spotlight in the mid-'60s, when he began leading the band that backed Aretha Franklin. We'll hear him here doing his version of William Bell's R&B classic "You Don't Miss Your Water." Nothing like a little sweet soul music to wrap up a session with some of the titans of Texas Tenor saxophone.